The NFL draft began yesterday. 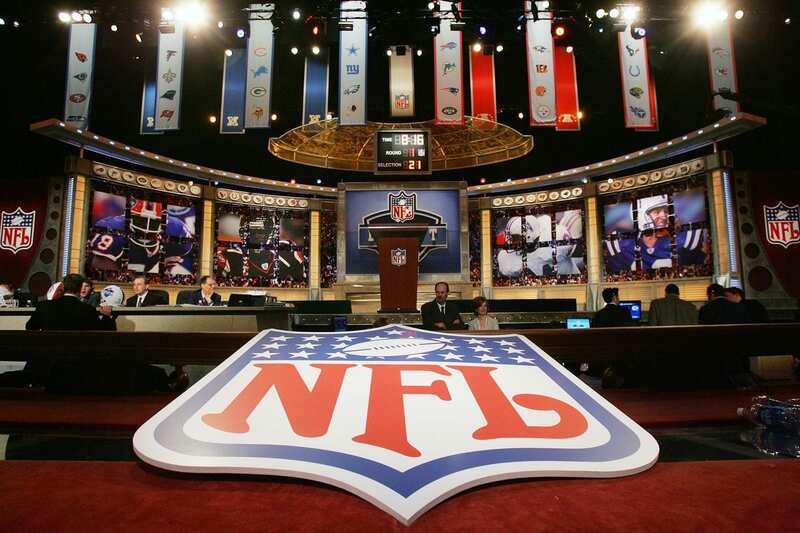 The draft is a decades-old tradition where the country’s top football prospects emerge from their college careers and move on to playing for money, at the professional level. As usual, the draft this year has not been without drama. Let’s be honest these guys are kids when they start college, some as young as seventeen years old. NCAA, Division One schools expect them to balance school and sports- but there is more to it than that. These still young and impressionable men have one more thing within that balance- life. Life is not just about what mom and dad say anymore. It’s about making the right friends, becoming your own person, deciding your path in life and deciding how you’ll get there. College, or at least that age, is where most of us “find ourselves” as young adults. College athletes have the added pressure of not just performing academically and socially, but in their chosen arena of sport as well. Coaches demand extended hours of practice, specific eating and sleeping patterns, and a certain level of conduct at all times. Conduct…of course it is important to behave oneself and to follow the rules. This is true in life, school and work. What happens when a young man breaks a rule? Well, if he is a college athlete and a top prospect in the NFL draft, chances are if there is evidence, it will end up in social media. The same thing happened to Olympic gold medalist Michael Phelps. He had amazing success at his sport and was defamed by photos of indiscretions while in college…the “finding himself” years. The point is, it isn’t just football. So this year, we have guys up for the draft and all of their dirty laundry comes to the surface. Some of it is years upon years old. Photos of drug and alcohol use, allegations of bending or breaking rules to pay rent, fighting, none of it is “right”, but should it have an impact on someone’s entire future? I’m not going to argue either side of that question. What I am going to do is ask- what’s next? This year is Laremy Tunsil- with a photo smoking marijuana and screenshots of a conversation asking his coach for rent money, and later, the player himself admitting to the latter. Last year there was Jameis Winston, accused of sexual assault. Right, wrong, guilty or innocent, in cases like these, there is one thing that NFL programs are counting on: the player will overcome his troubles and bounce back. HG Logistics, a third party freight broker in Cincinnati, Ohio, is not a college kid with dreams of the NFL. We do have something in common with these kids, though. Sometimes issues arise. We have a flat tire, we misquote a lane…we are human. Luckily, we don’t have the bigtime issues of drugs or assault, but we also understand that missing an appointment is a big deal to our customers, so it is a big deal to us. So what do we do when we get knocked down? We get up! We make it right. HG Logistics is proud to be transparent with our customers. We communicate any and all issues and make sure that everyone is happy in the end. Sometimes problems are unavoidable, but keeping our head in the game and making sure we are doing the right thing, on and off the road are what make HG a great top prospect for your team! If you have shipping needs, or want to learn more about what makes the HG Logistics team great, give us a call!